TOYOTA CENTRAL R&D LABC., INC.
Cathodoluminescence (CL) and photoluminescence (PL) can sensitively detect crystal defects in semiconductors. Luminescence spectra contain important information on radiative defects and impurities. 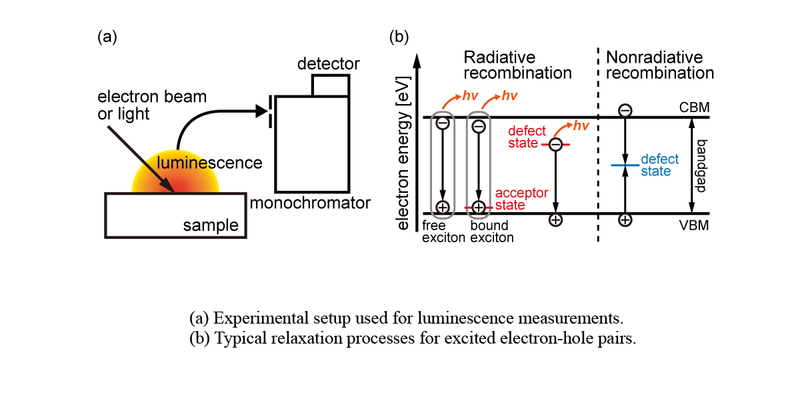 The relative concentration of nonradiative defects is evaluated through comparison with the total luminescence intensity. We use CL and PL to study three cases essential to semiconductor device research. 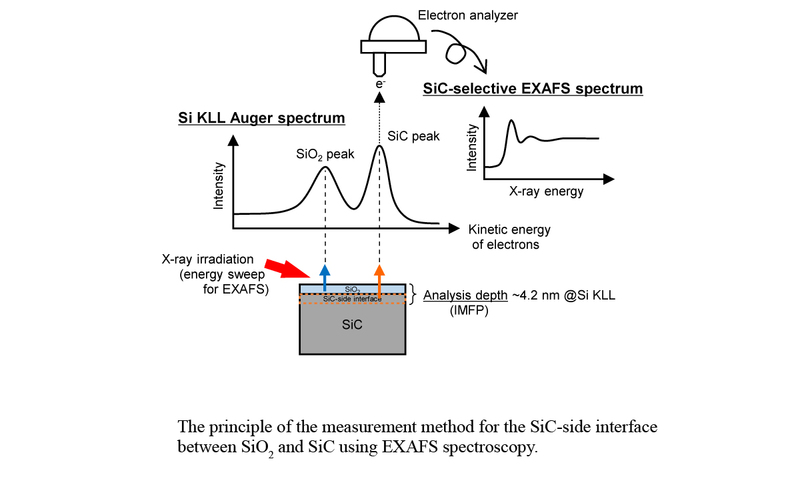 Local atomic structure analysis of the interface between SiO2 and SiC is achieved by a combination of chemical-state-selective extended X-ray absorption fine structure (EXAFS) spectroscopy and a thinned SiO2 film sample. SiC- and SiO2-selective EXAFS measurements suggest the existence of carbon vacancy defects on the SiC side of the interface and a structure close to that of tridymite on the SiO2 side, respectively. 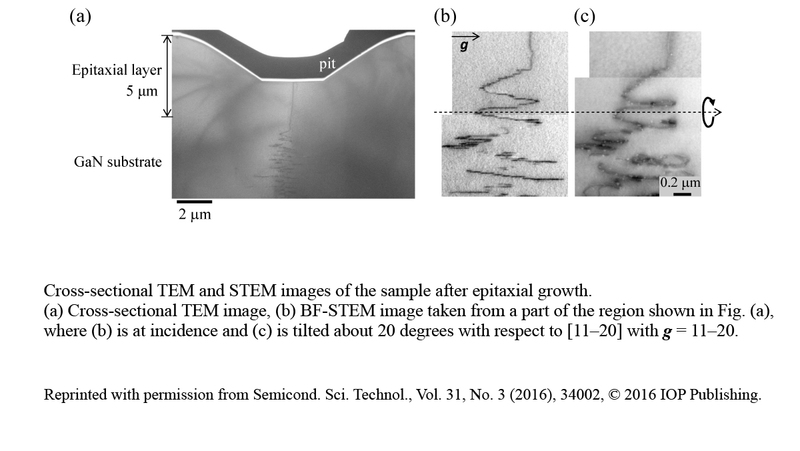 The threading dislocations were investigated in a GaN substrate synthesized using a basic ammonothermal method and an epitaxial layer on the substrate using synchrotron radiation X-ray topography and transmission electron microscopy. A “helical dislocation” is reported, in which the threading dislocations are deformed by heat treatment of the substrate, a phenomenon observed for the first time in GaN crystals. Two new 2D crystals of bilayer silicene and germanene were recently identified in the fluorinated Zintl-phase crystallites of CaSi2 and CaGe2, respectively. 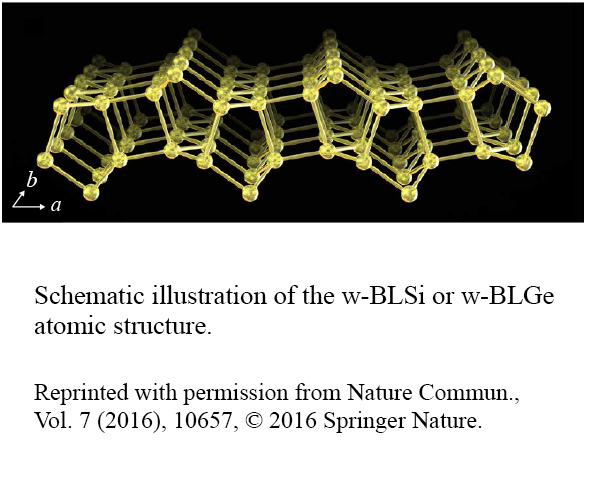 They have the same atomic structure, consisting of 4-, 5-, and 6-membered rings of Si/Ge atoms that form a wavy shape, and are denoted w-BLSi and w-BLGe, respectively. Synchrotron radiation X-ray was applied to measure internal degradation behavior in intelligent power modules. The laminography measurements revealed improved fatigue property of nano-particle Cu bonding layer due to the unique microstructure. A developed spiral slits system enabled space-resolved diffraction measurement useful for internal stress evaluation. Those techniques will be a powerful tool for the reliability analysis of power modules. Copyright © Toyota Central R&D Labs., Inc. All rights reserved.